Very kind and helpful stuff, clean rooms and the food served in the restaurant is excellent. The staff was helpfully, they were Hungarian people. The Hotel has a restaurant, what has a Hungarian kitchen. The food is very good. The hotel is near (1,5 km) to the city centre and Minimundus and a Wörthersee. The parking place was very good and free. The location is very good 20 min walk to the city center to one direction and 20 min walk to the lake to the other direction. Staff was very friendly, kind and helpful. Room was very clean. Cista soba.Mirna ulica.Brz internet.I moze se doci brzo pjesice u centar grada. A tulajdonos és a személyzet is Magyar, akik nagyon kedvesek és segítőkészek voltak. Van privát parkoló ami benne van az árban . Mindenkinek csak ajánlani tudom! Camera molto spaziosa, accogliente e pulita. Posteggio privato con cancello elettronico. La signora è molto gentile e disponibile anche se parla solo tedesco. La posizione è in zona tranquilla ma molto vicina al centro. Located in Klagenfurt, near Wörthersee Stadium, White House Klagenfurt features free WiFi, and guests can enjoy a garden. Popular points of interest near White House Klagenfurt include Lindwurm, Schrottenburg and Museum of Modern Art. 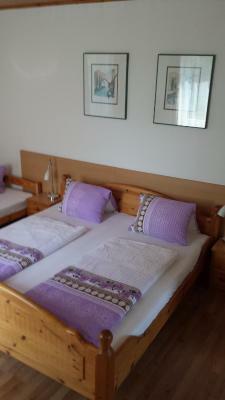 The nearest airport is Klagenfurt Airport, 3.6 miles from the property. When would you like to stay at White House Klagenfurt? House Rules White House Klagenfurt takes special requests – add in the next step! The room was too small like the size of a walk in wardrobe. The window didn’t shut properly so you could here all the traffic all night long (room 301). The toilet was old fashioned and broken. The shower had mould. There was a cigarette burn on the plastic. The towels were hand towels. When a train passed the whole building shook. The two single beds creaked. The breakfast was one small plate of meat, cheese, cucumber and tomatoes the bread was sliced and not nice, the coffee tasted like dishwater it was so bad we had to go a local bakery for breakfast.There is no reception desk. The owners dress like they are on a holiday camp. I paid 93€ for one night it wasn’t worth 20€. This was a last minute place to stay for me and a work colleague on a business trip booked 7 days in advance I wouldn’t recommend it at all. The location is poor and the pictures don’t do it justice to how bad it truly is. The rating of good is not correct this is a very poor guest house it needs a major renovation. I believe with places like this you should be able to get a full refund. It truly was the worst place I’ve stayed 0/10. The room hasn't airconditioners system. Breakfast was a bit small. It was absolutely unexpected that stuff of this house make very noise music for some people and this discoteka lasts until 2 am, i.e. it ends very late at night. Sleeping is totally im2possible. I have asked owner (his name is Stephan) to make music not so loud. He said "yes, for sure" but his words had effect only for 10 minutes. I suggest to avoid usage of this guest house to anyone who wants to sleep at night like a normal person.